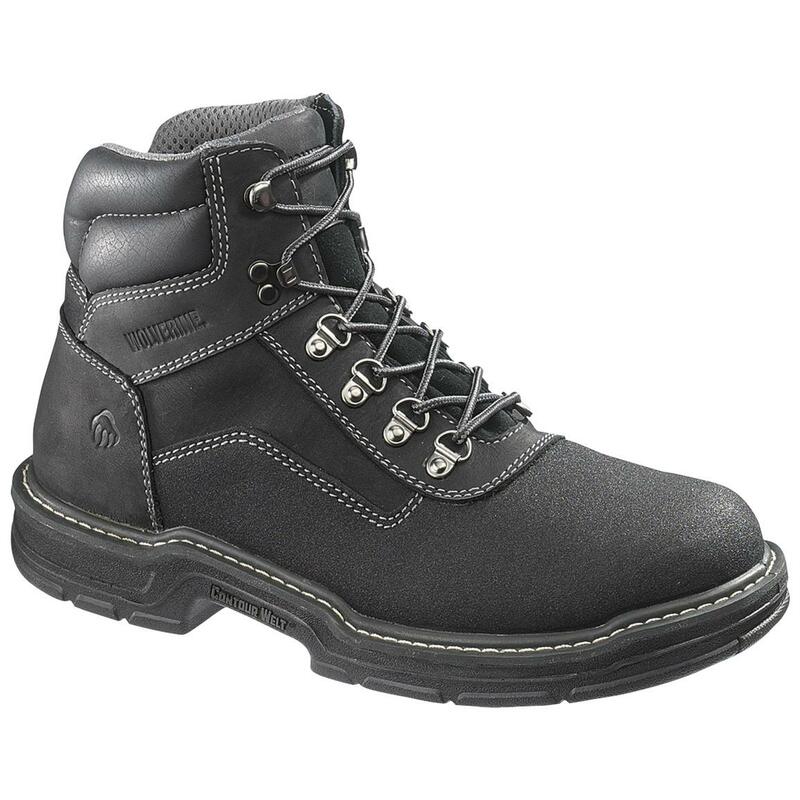 Wolverine® 6" Corsair Waterproof Composite Toe, EH Work Boots. Top-quality construction and toughness for YEARS of wear! You won't even believe these Corsair Work Boots... you have to experience the professional-grade durability, rock-solid waterproofing and all-day comfort to appreciate them fully. Work boots with fully waterproof, full-grain leather uppers that promise sealed-tight protection on the outside so you'll never worry about working in rainy conditions. You'll love the MultiShox® full-cushion footbed as well, because it absorbs impact and avoids aches and pains no matter if you're walking on rugged, rocky terrain or cement floors. Wolverine Multishox Contour Welt® rubber lug sole for traction. State Size and Color, as available in the Shopping Cart. 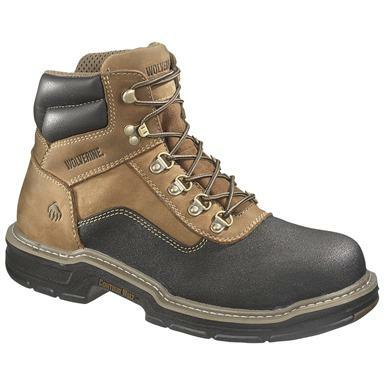 Mens Wolverine 6 Corsair Waterproof Composite Toe, EH Boots is rated 3.0 out of 5 by 1. Rated 3 out of 5 by JEFF from Nice boot, little pricey, and the piece inside the boot that wraps the back of the heel rubs on the outside of my ankle bone. Hoping it will go away after break in period.